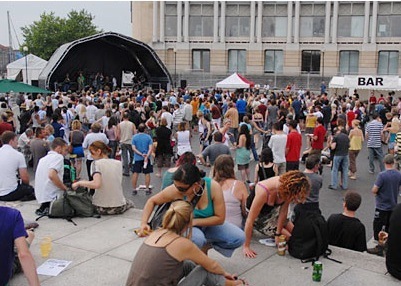 It's May already, which means VegFest Bristol is just 4 weeks away. The annual vegan extravaganza is billed as 'the world's biggest vegan event' and features three days of stalls, shows, talks, food, music and more. Entry to the festival is free this year, including access to the headline music acts and the comedy hours. Highlights include Ready Steady Chef live cooking shows, a daily Happy Hour with stall discounts, an extensive comedy line-up and Finley Quaye headlining on Saturday night. Veganoo will be on scene to bring you news and photos from the 3 day event.